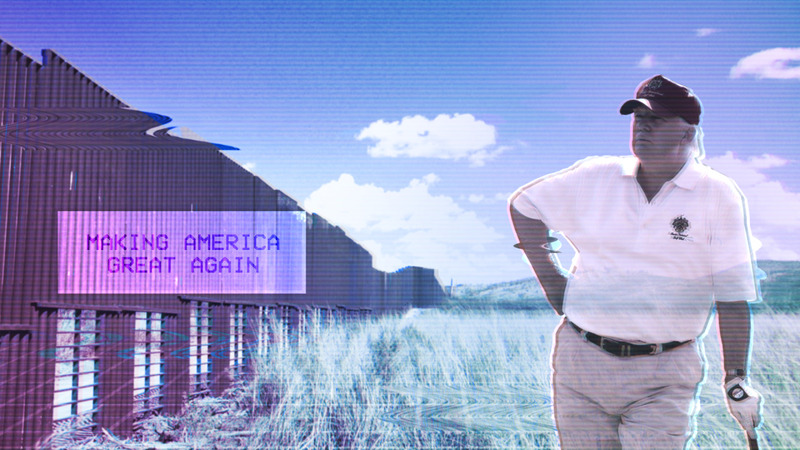 “To date, there is no plan to build sections of the wall. However, Congress has provided options under Title 10 U.S. Code that could permit the Department of Defense to fund border barrier projects, such as in support of counter drug operations or national emergencies,” Pentagon spokesman Army Lt. Col. Jamie Davis said. The Pentagon statement came after President Trump on Tuesday morning said the military could build remaining sections of a border wall. U.S. Customs and Border Protection officers at Arizona’s Port of Lukeville arrested a U.S. citizen from Tucson for attempting to smuggle methamphetamine and heroin Monday. Two groups of Central American migrants made separate marches on the U.S. Consulate in Tijuana Tuesday, demanding that they be processed through the asylum system more quickly and in greater numbers, that deportations be halted and that President Trump either let them into the country or pay them $50,000 each to go home. On the one-month anniversary of their arrival into Tijuana, caravan members are pressing the United States to take action but they are dwindling in numbers since more than 6,000 first arrived to the city’s shelters. Two fire technicians at the National Science Foundation's McMurdo Station in Antarctica have been pronounced dead following an incident at a generator building that powers a radio transmitter near the station. The workers were performing preventative maintenance on the building's fire suppression system. They were found unconscious on the building's floor by a helicopter pilot, who landed after seeing what appeared to be smoke coming from the structure. They were removed from the building and CPR was administered. One person was pronounced dead at the scene by medical personnel who arrived from the McMurdo clinic. The other was flown to the McMurdo clinic and pronounced dead there a short time later. Chinese state-owned companies bought at least $180 million of soybeans, two U.S. traders said. A third trader, based in Europe, said the buyers were Sinograin and Cofco and sellers included Cargill Inc, Louis Dreyfus Company and CHS Inc (CHSCP.O). One U.S. trader knew of nine cargoes traded and said there were probably more. A second trader with direct knowledge of the deals said Chinese state-owned firms bought at least 12 cargoes for shipment between January and March. Gosh I mean... When I move to cities, I change the way I flirt too. Following allegations of sloppy accounting, potential tax fraud and pay-to-play, the Clinton Foundation will be under a Congressional microscope this week after three whistleblowers have come forward and agreed to testify - one of whom secretly submitted 6,000 pages of documents to the IRS and FBI in August of 2017, and all three of whom have submitted various documents to Congressional investigators. Rep. Mark Meadows (R-NC), Chairman of the House Freedom Caucus, told Fox News's Martha MacCallum on Monday night that there are three whistleblowers who have spent the past two years investigating the Clinton Foundation, and have "explosive" allegations which they will share during Thursday testimony on Capitol Hill. Pack it up y'all, Drumpf's finished for good this time! President Donald Trump signed a law on Tuesday combatting genocide of Christians in the Middle East, legislation supported by the Knights of Columbus and a broad array of faith-based organizations. Christians are being systematically wiped out in Syria and Iraq, along with other religious minorities in parts of the Middle East. Rep. Chris Smith (R-NJ) and former Rep. Frank Wolf (R-VA) spearheaded the passage of H.R. 390, the Iraq and Syria Genocide Relief and Accountability Act of 2018, which the president signed in an Oval Office ceremony. Both congressmen stood with the president as he signed the bill. When they looked at these lost years by race, they found that White Americans lost 2.23 years, while African Americans lost 4.14. The answer to assaultive gun violence, Kalesan says, is not simply more policing, either. Heavily policing—and disproportionately reinforcing gun laws—in Black communities “is just going to create more animosity,” she says. Research by her SPH colleagues has also illustrated how structural racism increases the odds of unarmed African Americans being shot and killed by police, and the wider mental health toll of that form of gun violence. Isn't it amazing how they carefully craft their sentences to fool those NPC's that get activated by buzzwords like "Structural Racism" (institutional racism, which doesn't exist on paper)? Also, isn't it also convenient for this report to not mention how police kill more whites than blacks, but minority deaths generate more outrage.? It's almost as if this report has an agenda. This agenda-driven report strategically bypasses the fact that Liberal run cities have removed the 2nd amendment rights from Black citizens. That is the real base of all these problems. They've essentially removed the rights for blacks to defend themselves, and yet, they have carefully crafted their report to blame "whites". But it goes much deeper than that. These Liberal Run cities have teamed up with profit-driven private prisons that have essentially created a business from turning blacks into criminals. This side-effect removes the rights from blacks by denying them purchases of firearms when doing background checks. And all this is only a fraction of what Democrats have been able to get away with. Reports like these don't help blacks, by denying their right to self defense, they further oppress them. #BlackGunsMatter too. The long-term investigation utilized various investigative techniques, including court-authorized wiretaps, video and physical surveillance, the gang members allegedly discussed their plans to kill two individuals and to burglarize a home where they believed $80,000 could be taken. Democrats claim America doesn’t need a wall to protect its southern border. Common sense says otherwise—and so do the numbers. Americans are becoming less reliant on physical currency. Roughly three-in-ten U.S. adults (29%) say they make no purchases using cash during a typical week, up slightly from 24% in 2015. And the share who say that all or almost all of their weekly purchases are made using cash has modestly decreased, from 24% in 2015 to 18% today, according to a new Pew Research Center survey that comes as some businesses experiment with becoming cashless establishments. They are using stemcells to create the venom that they make the antidote out of, that way they don't need to milk the snakes anymore and have a more renewable and less violent form of extracting venom. "It's hard though because he was a prominent public figure. They have to prove malice and that it wasn't a mistake. Since he had been previously convicted, even if wrongly, before being pardoned it then puts a large burden upon the litigant to show that they're saying this with intention." Employees working in Amazon’s new Staten Island fulfillment center have announced their intention to unionize, reports Bloomberg. Through a partnership with the Retail, Wholesale and Department Store Union (RWDSU), the employees said that they’re aiming to address numerous issues, including safety concerns, lengthy unpaid security checks, unreasonable hourly quotas, and insufficient breaks. It will be interesting to see how it'll work out given that Amazon avoids directly hiring employees and instead uses contracting agencies they can freely fire and rinse and repeat.